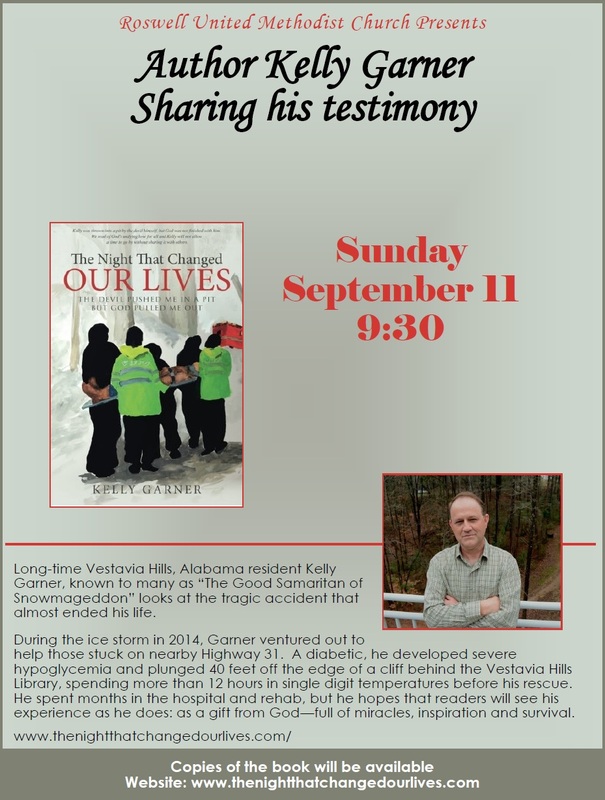 I am honored to be invited to share my testimony with the members of Roswell, Georgia United Methodist Church next month, Sunday, September 11 @ 9:30am. The exact location has not been pegged out but will be announced soon. Hope to see many of you there.